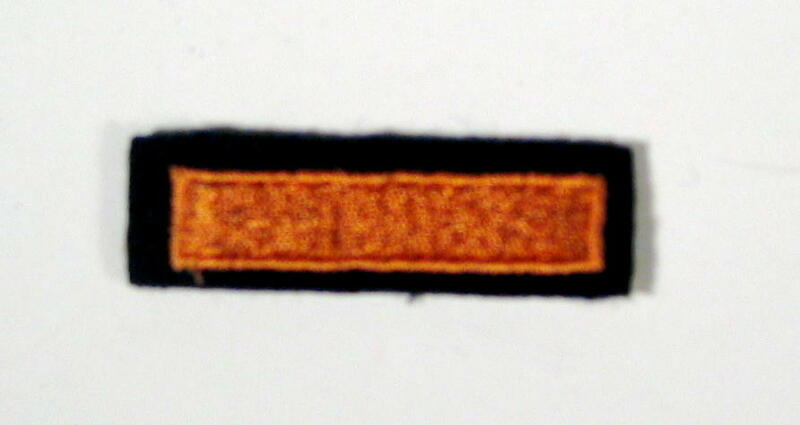 Service award consisting of a bronze stripe: 6 Years Service. Worn by Members to denote 6 Years service prior to the award of the Members' 15 Year Service Badge. Only one stripe to be worn at a time. Not worn on uniform dress.